Do you want to be part of an exciting spiritual experiment for world peace and personal transformation? For the trans-formative benefit of our society, family, and individual self, and also to heat up the spiritual atmosphere (सूक्ष्म-जगत) for the world peace on a massive scale (सामूहिक अनुष्ठान), 'All World Gayatri Pariwar is facilitating' a Gayatri Mantra Japa Sadhana. This sadhana of 2.4 million collective Gayatri Mantra Japa begins on July 1st and concludes on July 3rd (Guru Purnima). As a team participant you are expected to do 24 malas of Gayatri mantra japa (about 2400 mantras) in three days. That works out to be eight malas/per day, needing about one hour of japa time for each of the three days ! Mantra Japa sadhana starts infusing the essence (तत्वज्ञान) of the 24 letters of the Gayatri-mantra, into the consciousness of Sadhak. Particularly, when sadhakas around the world are engaging into this Sadhana, a very potent Spiritual current is generated. It awakens 24 divine qualities in the individual. These qualities manifest as various accomplishments and prosperity in ones life. Collective practice (Sadhana) of Gayatri Mantra awakens righteous intellect in all and brings bright future too. So, this is an opportunity not to be missed !. Please team up with the fellow sadhakas in this global movement and receive multiple physical, mental, and spiritual benefits. For Gayatri Sadhana along with the japa, you will be simultaneously meditating on rising sun with the image of your ishta, Guru in the middle of it and visualize the sunbeams carrying positive energy are entering your body and you are glowing inside out and all negativity is expelled with this brilliance. Definitely you will experience life changing energy and peace. 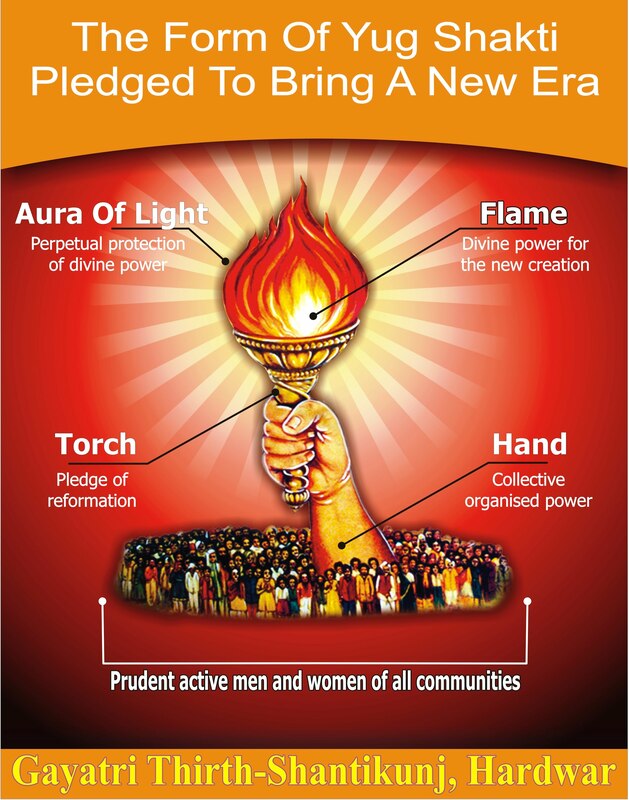 Take Pledge to join fellow sadhakas who would collectively contribute in this effort as part of the grand experiments (initiated by the Yugarishi) of thought-revolution, refinement of subtle environment and awakening of soul-power to usher in a new era of global peace, happiness and enlightenment. On special occasions like Guru Purnima, sadhana (spiritual effort) yields greater results. And a collective Sadhana is even more fruitful. So I sincerely urge you to take advantage of this opportunity !
" Aum Bhur Bhuva Svah Tat Savitur Varenyam Bhargo Devasya Dhimahi Dhiyo Yo Naha Prachodayat "